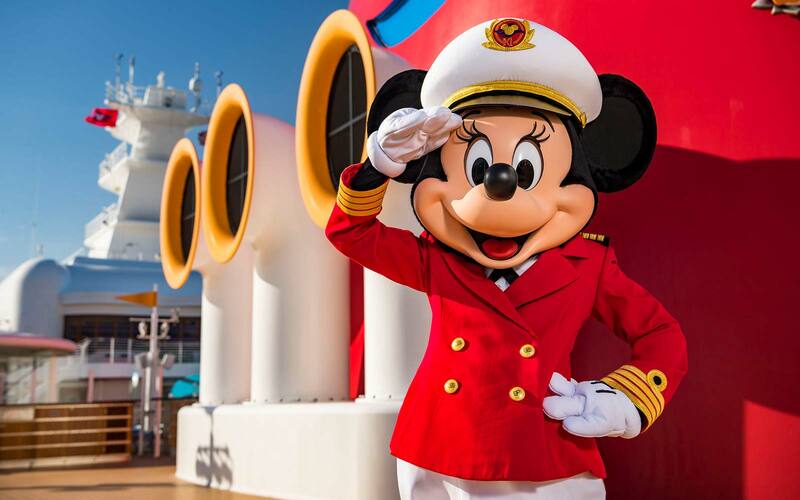 There’s plenty that sets Disney Cruise Line apart from its competitors — and not just the endless soft-serve, family-friendly staterooms or being able to hug Mickey Mouse on your way to a Disney princess-themed restaurant. 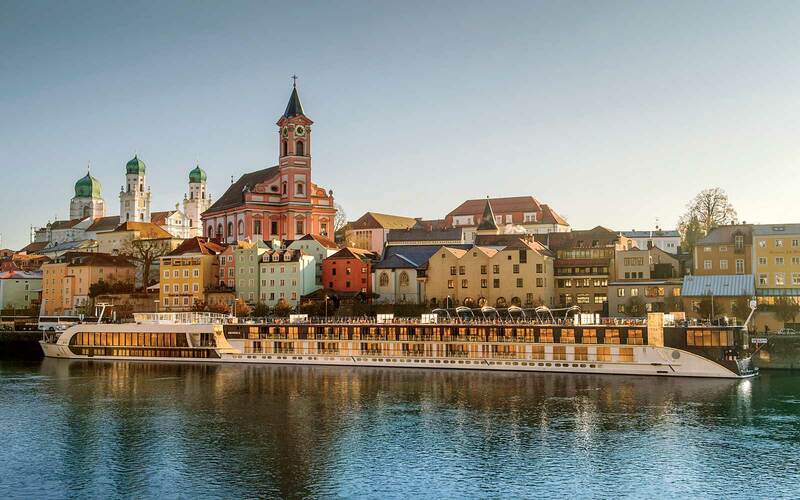 All four Disney cruise ships are elegantly designed and provide high-end services, and with the best activities to keep kids entertained throughout the day along with relaxing escapes for adults, Disney cruises offer plenty for the entire family. 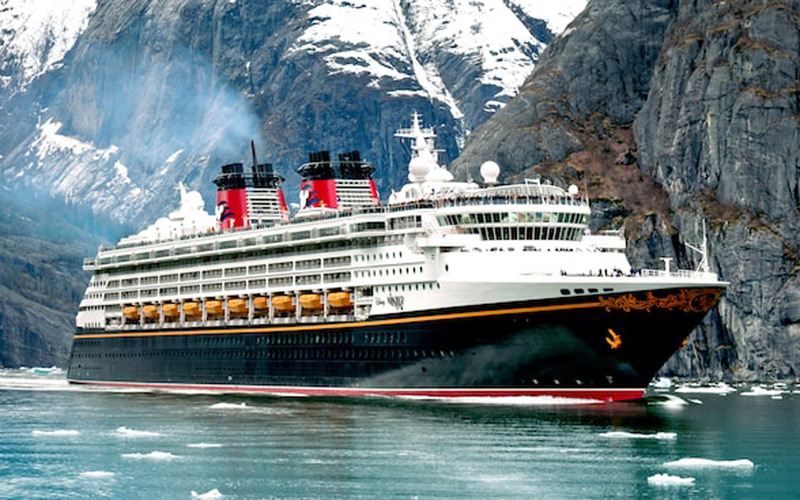 Curious about which ship to take to Alaska or if you can visit Disney’s exclusive island on sailings from Galveston? The answers are Disney Wonder, and yes, but read on to discover more about the best Disney cruise ships and which package to book depending on what kind of trip you’re taking. As the original Disney Cruise Line vessel, the Disney Magic retains its charm while embracing a collection of modernizations and upgrades to feel good as new. Three Broadway-style shows are performed on the Disney Magic: "Twice Charmed," a twist on the Cinderella story; "Disney Dreams — An Enchanted Classic," an original show with cameos by characters like Peter Pan and Aladdin; and "Tangled: The Musical," Disney Magic’s signature show featuring stunning sets and beloved songs from the film. In addition to nightly live music, magic shows, comedy performances at Fathoms and karaoke, families can take in Marvel, Pixar, Disney and "Star Wars" films currently in movie theaters at the full-size Buena Vista Theatre. On the outdoor upper decks, the Wide World of Sports offers basketball and ping pong, a selection of pools and hot tubs and the famed AquaDunk waterslide, with a 3-story drop. Disney cruise ships are covered in high-end decor and thoughtful design that feel more classy and less kid-focused, but select adults-only experiences, including exclusive patios and pools, still thrive. A collection of bars called After Hours brings live music nightly to Keys, a ‘50s piano bar, and an opportunity to catch up on sports at O’Gills Pub, while Palo, a higher-end restaurant that requires a surcharge and reservation, is the ultimate date night. Don’t miss the “rainforest room” on the Disney Magic cruise ship’s Senses Spa, as well as adult beverage tasting seminars. Guests on the Disney Magic cruise ship will rotate between three restaurants nightly. Rapunzel’s Royal Table, a new Disney Cruise Line eatery, provides a themed night of lively music, revelry from some Snuggly Duckling denizens and an appearance by Rapunzel and Flynn Rider within a lantern-lined ballroom. Animator’s Palate is surrounded by momentos from Disney and Pixar animated films that “come to life” throughout dinner, and Lumiere’s channels the elegance of "Beauty and the Beast." Casual meals can be had at all-day buffet Cabanas or ordered via 24-hour room service on board the Disney Magic. 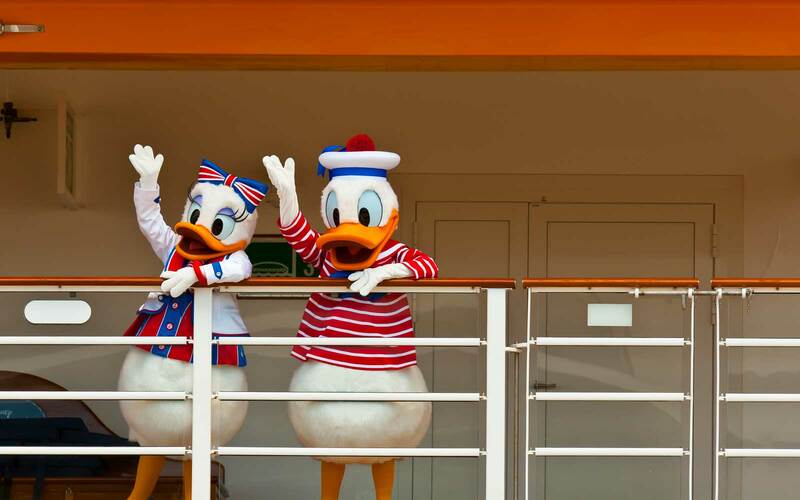 Otherwise, stop by Duck-In Diner for hot dogs, chicken fingers or a shawarma sandwich, enjoy a quick lunch at Pinocchio’s Pizzeria or something healthier from Daisy's De-Lites on the upper Disney cruise ship decks. Thinking of booking a Disney cruise in 2019 or 2020? 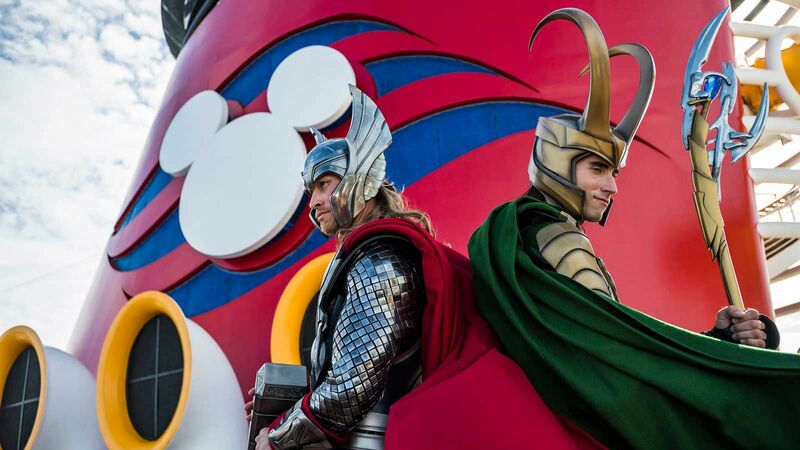 Check Disney Magic sailings for ones that include Marvel Day At Sea, which lets guests sail the high seas with Groot as the blockbuster films take over the ship with themed food, activities and character experiences with Iron Man, Black Panther and Thor, among others. There is also an entire "Frozen" celebration on select 7-night Disney Magic sailings in 2019, which will include live shows, a deck party, extravagant food options and an unexpected dose of winter. Additionally, look for special seasonal celebrations for Christmas and Halloween. 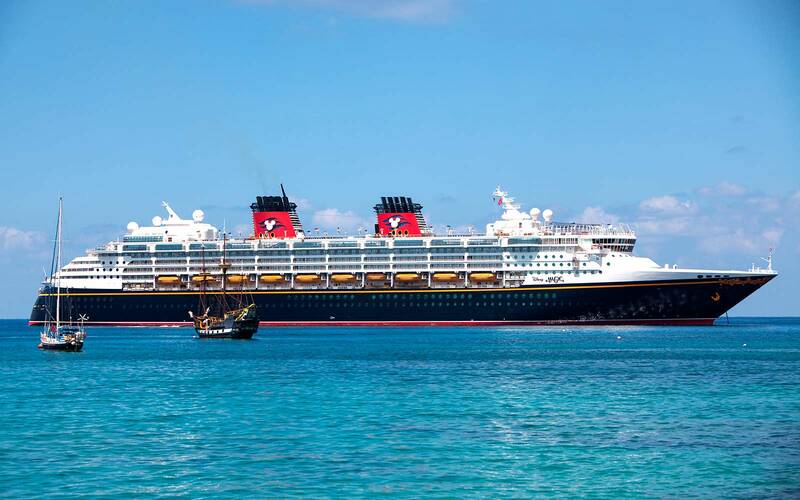 Of all Disney Cruise Line ships, the Disney Magic offers the largest variety of itineraries. In addition to Eastern Caribbean sailings from New York, Western Caribbean sailings from Miami, and Bahamian journeys with stops at Disney Cruise Line’s private island Castaway Cay, the Disney Magic cruise ship also does Western European jaunts in England and Ireland, Northern European trips to Estonia, Russia and Finland, Norwegian Fjords and Mediterranean cruises as well as a Mediterranean Greek Isles cruise, back for 2020. 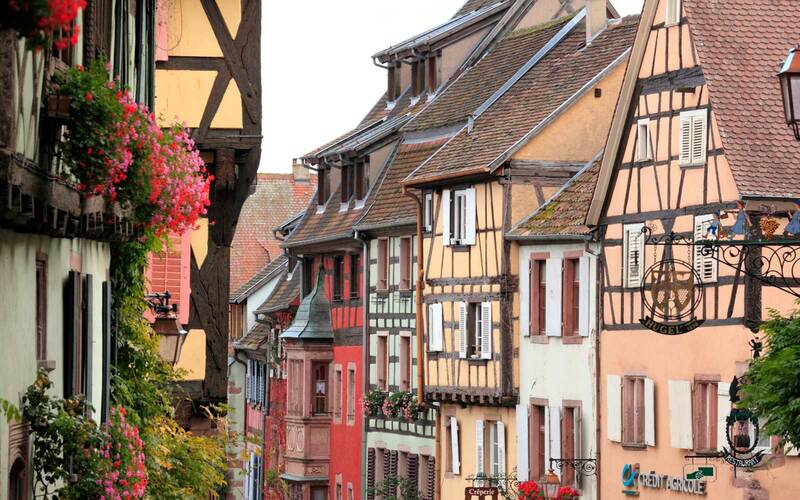 Or, book a Transatlantic cruise for more time aboard the Disney Magic cruise ship than most get in a lifetime. Disney Magic cruises start around $1650, check online for Disney cruise deals and current Disney Cruise Line prices. A trip aboard the Disney Wonder can lead to familiar tropical escapes as well as a memory-making Alaskan vacation, with all the Disney cruise goodies included on-board. Repeat cruisers love this vessel for its smaller size, which makes for a more intimate trip. Disney cruise ships are famous for their nightly shows. "Disney Dreams — an Enchanted Classic" and "The Golden Mickeys" feature best-of-the-best Disney characters and music, but "Frozen, A Musical Spectacular," which brings Anna and Elsa's story to life with Broadway-style costuming and design, is a Disney Cruise Line favorite. When you’re not enjoying Disney cruise activities like viewing "Star Wars" and Marvel films currently in theatres or playing ping pong and basketball at Wide World of Sports, there are plenty of pools, hot tubs and AquaLab water play areas to enjoy on the outer decks. There’s even Disney Wonder’s Pixar Pals Party, a fun-filled celebration with characters from "Ratatouille," "Inside Out," "Toy Story" and "Up," exclusively offered on Alaskan sailings with Disney Cruise Line. Make a reservation for Palo, an adults-only restaurant serving dinner each night and brunch on 4-night or longer cruises, or break for a pint at Crown & Fin Pub or a cocktail at Cadillac Lounge, housed within the Disney cruise ship’s After Hours section. There are also adults-only pool and outdoor areas of the Disney Wonder cruise ship, beverage seminars and the Senses Spa’s “rainforest room”. Grab a slice at Pinocchio’s Pizzeria by Goofy’s Pool, a snack at Pete’s Boiler Bites or some healthy fare at Daisy’s De-Lites — or hit the buffet at Cabanas, located on all four Disney cruise ships. Dinner rotations bring diners to a new restaurant each night: enjoy the flavor and fun of New Orleans at "The Princess & The Frog"-themed Tiana’s Place; the elegant "The Little Mermaid"-inspired Triton’s; or Animator’s Palate, which begins black-and-white and grows to be surrounded by color with a surprise at the meal’s end. All four Disney cruise ships have themed cruises for Halloween and Christmas, in addition to New Year’s and Thanksgiving celebrations, but Disney Wonder also offers a special "Frozen" Deck Party as part of their full-day "Frozen" celebration aboard select sailings. Watch the film come to life with a specialty dinner, stage show, meet-and-greets with Olaf, Anna and Elsa and take fun, festive photos throughout the ship, which is filled with snowflakes and icicles for the occasion. Bookings for a 2019 Disney cruise include Baja sailings from San Diego, Pacific Coast and Mexican Riviera cruises, Hawaii, Eastbound and Westbound Panama Canal sailings and both Bahamian and Western Caribbean cruises out of New Orleans, a new Disney Cruise Line port. The Disney Wonder is also one of all four Disney cruise ships to visit Alaska, with itineraries departing from Vancouver, and offers of Western Caribbean itineraries to Mexico and San Juan out of Galveston, Texas as well. Castaway Cay fans can even book select 7-night Bahamian itineraries also from Galveston, making it a one-stop shop for visiting Disney Cruise Line’s secluded and beloved island. Disney Wonder cruises start around $1394, check online for Disney cruise deals and current Disney Cruise Line prices. 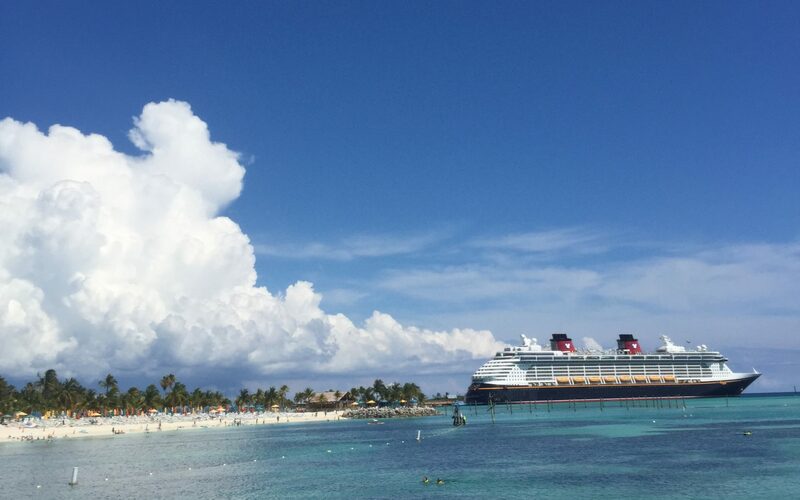 If its Castaway Cay you’re after, the Disney Dream is your ship — not only is it one of the newest and biggest, but it exclusively makes trips to the privately owned Bahamian island throughout 2019 and 2020. This Disney cruise ship boasts variety shows like "The Golden Mickeys," an onboard spectacle celebrating Disney’s famed films and songs with plenty of character appearances, but its live rendition of "Beauty and the Beast" remains the signature show of Disney Cruise Line with its unfathomable sets, costumes and performances. Families can take in a round of outdoor mini golf on Goofy’s Sports Deck or stay inside to play Midship Detective Agency, a trio of interactive games featuring Muppets, Mickey Mouse or Cruella de Vil. There’s plenty of aquatic fun to be had on this Disney cruise liner as well, with Nemo’s Reef for littles, an array of pools and the AquaDuck, an onboard “water coaster” with views of the surrounding ocean, which is a Disney Cruise family favorite. Packed with interactive features and themed expanses, Disney’s Oceaneer’s Club allows kids ages 3-12 to play in a "Toy Story"-themed room, explore Pixie Hollow with Tinker Bell and take a simulated flight on Star Wars: Millennium Falcon. There are also activities with characters, like Puzzle Playtime with Mickey and Friends, which lets young children play games alongside their favorite Disney characters, and more experiences within Disney’s Oceaneer Lab, tween hangs in Edge and Vibe, a teen club with its own private pool. Unwind at Senses Spa or Indulge in pasta, steak and souffle at Palo, or Disney Cruise Line’s finest fare at Remy, both of which are exclusive to adults on board. (Be sure to make a reservation in advance.) Grab an after-dinner drink at Meridian, or head to The District for a bottle at Pink: Wine and Champagne Bar or drinks at Skyline, Pub 687, District Lounge or Evolution. Passengers on the Disney Dream will rotate between three different dinner eateries: elegant French fare at Enchanted Garden; storybook fine dining at Royal Palace; and a fully-immersive Animator’s Palate, bringing together the animated film libraries of Disney and Pixar for a meal filled with intrigue and surprise. Order room service, hit Cabanas for buffet-style service throughout the day or Flo’s Cafe, a trio of Cars-themed eateries with chicken fingers and cheeseburgers included with the Disney cruise, or grab a healthy smoothie at Senses Juice Bar or a special dessert at Vanellope’s Sweets & Treats for an additional fee. Keep an eye out for special Christmas and Halloween-themed cruises aboard the Disney Dream cruise ship, which celebrate each holiday with entertainment, character experiences and on-board parties. 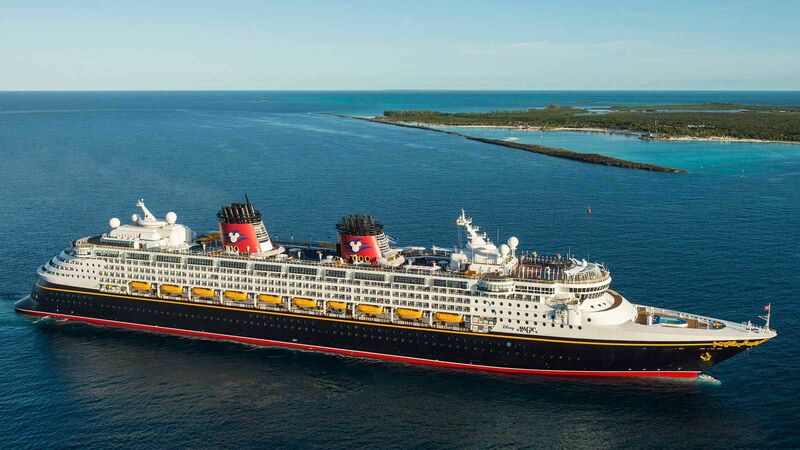 The Disney Dream ship is offering Bahamas itineraries which include stops at Disney’s Castaway Cay for its Disney Cruise sailings in 2019 and 2020. Disney Dream experiences start at $1500, check online for Disney cruise deals and current Disney Cruise Line prices. 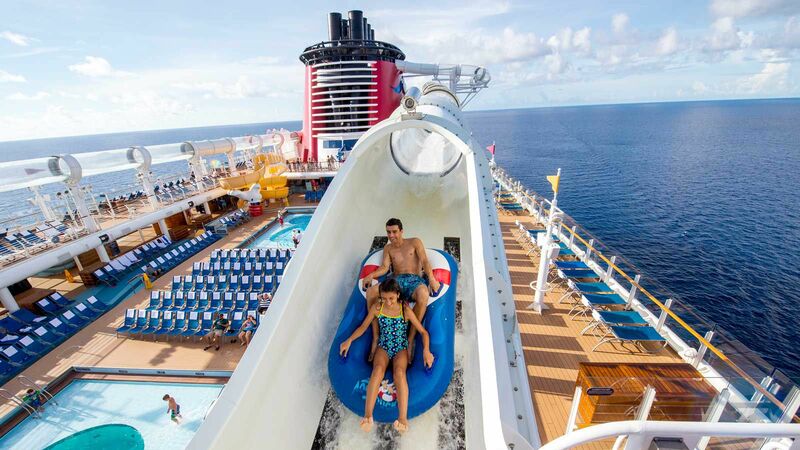 Flex that vacation muscle at Disney Fantasy’s pools, including Nemo’s Reef for children and rides on the AquaDuck, a hybrid water slide and roller coaster with 765 feet of tubes above the top deck. Uncover a hidden world of fun with Midship Detective Agency, an all-ages interactive game utilizing screens and props hidden throughout the ship, watch current releases in the on-board Buena Vista Theatre or play basketball or experience VR sports simulators at sea on Goofy’s Sports Deck. At night, Disney Fantasy offers live shows including "Disney’s Believe," a narrative with visits from "Cinderella," "Mary Poppins" and "Peter Pan;" "Disney Wishes" and "Disney’s Aladdin - A Musical Spectacular," the Disney ship’s headlining show. Kids ages 3-12 can learn Mystic Arts from Marvel’s "Doctor Strange" in the MARVEL Super Hero Academy, sing and dance with "Toy Story’s" Woody in Andy’s Room, encounter real Stormtroopers at the Star Wars Command Post or enjoy kid-friendly activities with Mickey Mouse and Tinker Bell. There’s endless inventive fun across Disney’s Oceaneer Lab and Club, and for older kids, at Edge and Vibe clubs. Whether you’re splurging on a gift at Tiffany & Co, grabbing a gin & tonic at Meridian — or taking a beverage tasting seminar to learn more about them — there’s loads for adults to do. The Disney cruise ship offers two adults-only restaurants: Palo, which serves elegant Italian dishes and Remy, a French coursed menu experience. Plus enjoy Europa, a collection of stylized bars including Ooh La La champagne bar and La Piazza, an Italian bar reminiscent of a carousel. Along with special themed cruises for noteworthy holidays, Disney Fantasy cruise ship will be offering Mickey & Minnie’s Surprise Party at Sea on select sailings in summer 2019, bringing festive snacks, party hats and the couple themselves to the festivities. The ship is also hosting a "Star Wars" Day at Sea honoring the battle between First Order and Jedi forces on select 7-day Caribbean cruises, with character interactions, Jedi training, "Star Wars" fireworks and themed food and drink. In 2019 and 2020, the Disney Fantasy will travel on Western and Eastern Caribbean itineraries out of Port Canaveral. The Disney cruise ship will also travel Bahamian itineraries from Port Canaveral to Disney’s Castaway Cay island, and select Southern Caribbean cruises through Barbados, Martinique and St. Kitts. 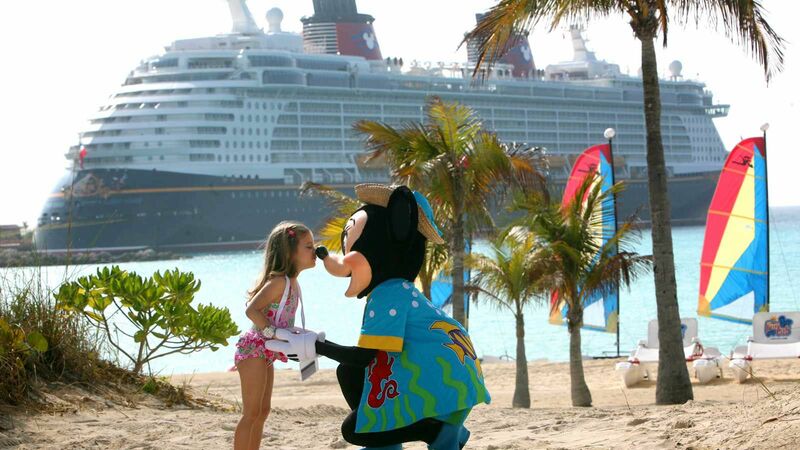 Disney Fantasy cruises start at $1629, check online for Disney cruise deals and current Disney Cruise Line prices.